The 2012 Budget offered small solace for local government, which continues to bear the brunt of the biggest and quickest public spending contraction in modern times. “Local authorities are seeing their government grant cut by 28% over the current funding period. In comparison, Whitehall will trim budgets by just 8%”. But for those officers at the centre of this financial storm – council finance directors (FDs) – this week’s confirmation that real terms spending is likely to continue downwards beyond 2015 will be of little surprise. Ongoing cuts are now a way of life for the council FDs we work with and their medium term plans will have bargained on this news. In fact, the settlement forecast is just the start of the challenge for today’s council FD. On top of this, they are wrestling with the implications of business rates retention, council tax benefit localisation, welfare reform and localism legislation. Whilst at the same time managing unseen levels of change activity and doing a growing day job. With job security especially low in the UK, and interest in taxpayer value at an all-time high, the public as a starting point have little sympathy for the pressures faced by high earning public servants. Without the leadership, adaptability and outright tenacity of these professionals, though, local public services would be in an altogether different situation. What was sometimes a low-profile, technical and reactive role has gone way beyond the comfort zones of many accountants. The scale of the funding challenge has called for different skills. Cost control – economy and efficiency – is clearly still important but not enough. Yes there was waste, but not 25% plus, and we all know councils have to do things very differently. If they are to help deliver a sustainable ‘future council’, today’s FDs must act as much like commercially creative entrepreneurs as risk managers. Their job demands that they challenge the traditional business of local government – including the concept of demand – and initiate and drive positive action. And be completely open with all stakeholders whilst they’re at it, proactively consulting and influencing and developing a culture of value for money within their organisations.. Those at the top of the public finance profession have a well-rounded skill set that is far from what may be a common perception of public accountants. These individuals and their teams are paramount to local government emerging successfully from the other side of the CSR challenge. So how are our FDs coping with the challenges of the financial environment and the constant need to evolve in the role? What has been the impact of heightened public scrutiny and increased pressure to deliver more for less? And with pay the focus of such attention, will anyone want to do the job in the future? We interviewed a number of leading FDs from the sector to find out. Alastair Thompson is a Manager at IMPOWER. To contact him to discuss this blog please e-mail athompson@impower.co.uk or call 020 7017 8030. Ebony Hughes is a Manager at IMPOWER. 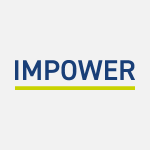 To contact her to discuss this blog please e-mail ehughes@impower.co.uk or call 020 7017 8030.